We understand your needs based on a judgement of your asset liability gap, annual income, standard of living and age and recommend a solution that fulfils your long term savings and protection goals.Life insurance is an important investment, essential for every adult to consider. A proper Life Insurance policy can give you peace of mind knowing that your finances and beneficiaries are secure â�� from temporary to permanent coverage. At Insurance Services Group, we understand that as things in your life change, so will your financial and insurance needs. 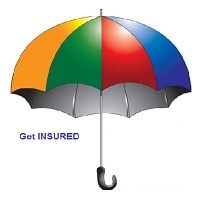 Thatâ��s why itâ��s important to review your Life Insurance options with a specialist you can trust.